I’m introducing a new section on my website that I call Column and will be filled with an opinion, current (photography) affairs or just another short thought related to photography. In any case they all only express a personal opinion. I tend to post to this column at least twice a month. I’m kicking off with ‘Cliches and authenticity’. The discerning viewer and follower of my work may have noticed that the photos I take and create today are very different from the ones I created until 3 years ago: today my photos are not only lighter but also closer to reality than they used to be. I don’t do this because I reject my own internal reality, but because I now feel more comfortable with the reality that’s facing me and we all can see objectively, as being invariant across reference frames. Another reason for this change is because the question, what is reality is often used as an excuse to validate one’s own artistic vision by saying: that is the reality I saw. But what does that really mean if no one else but the artist can validate the artist’s, often strongly expressed, assertion? Why do some assertions, and the external expression of a highly subjective reality, find their way into the most beautiful and moving artworks ever made and can move the observer to tears sometimes, while other assertions do not find their way to very convincing ‘works of art’ no matter the sheer and obstinate force with which the artist proclaims his/her assertion? Because of its authenticity. The problem is that as long as no one can validate your subjective reality as an artist, you can claim what you want and state it is your reality, but no one will hold this true until the observer is moved and acknowledges your reality by the extent to which the observer is moved. That is the moment an artwork is acknowledged and ‘established’. It takes just one observer to do that. The moment an artwork doesn’t add to your own experiences or doesn’t mirror one of your own experiences to acknowledge it (‘it moves me’), it becomes a cliche and the artist’s posited reality can’t be confirmed. In other words, we question, consciously or subconsciously, implicitly or explicitly, its authenticity. The authenticity of the assertion that it was ‘the artist’s reality’. The moment that happens, we either aren’t capable of effectively expressing our subjective reality, or we aren’t authentic. It occurred to me that my reality became even obscure to myself, and I questioned the authenticity of my reality. I can’t impose what I don’t believe in. Hence, instead of presenting a reality I, myself, am not even sure of, it’s easier to present my reality embedded in a more recognizable and objective reality. I do not state anymore that ‘this is what I saw’, instead, I say now, I present what we all can see. Objectively. Whether this is a good motive and direction, remains to be seen, perhaps in retrospect, it turns out to be either an act of insecurity and of artistic cowardice or perhaps it turns out to be all I could see and feel. Gehry Building, New York, 2014 – ‘old’, more subjective, style. 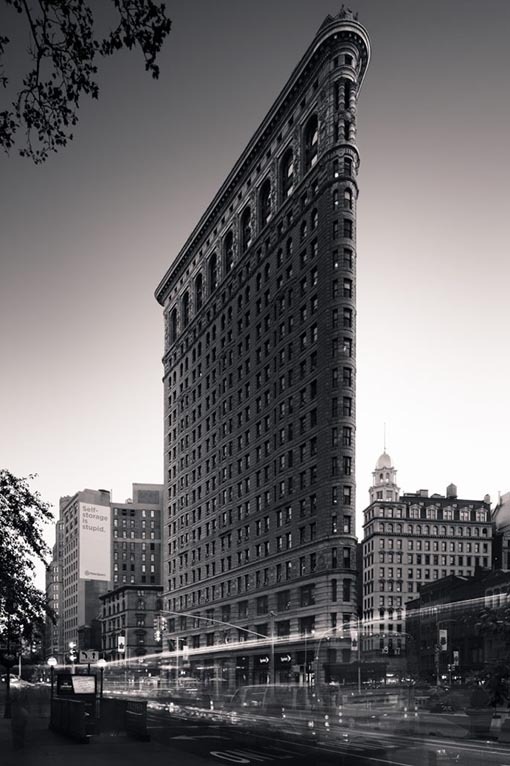 Flatiron Building, New York, 2017 – ‘new’ more objective style. 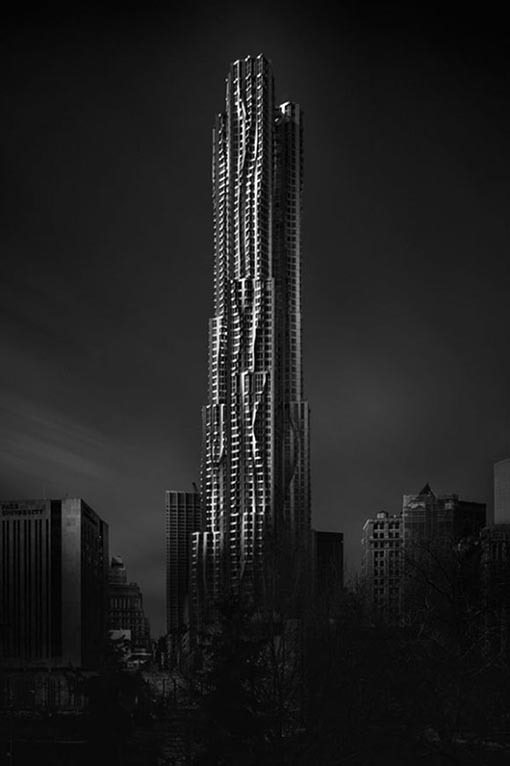 The image of Gehry Tower has visual ‘power’ that connnects with me. 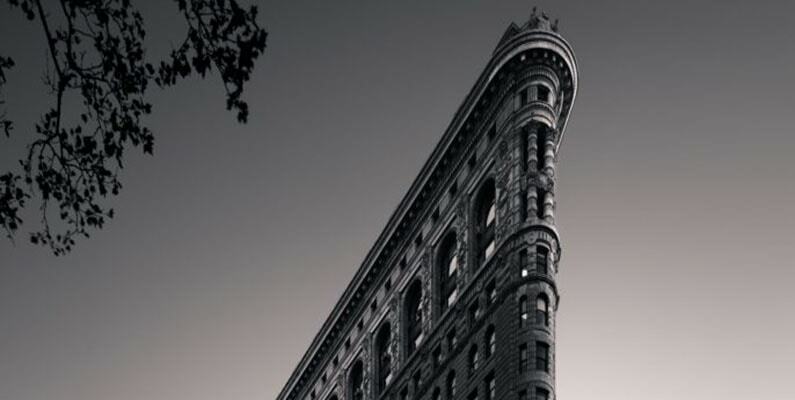 The Flatiron is technically perfect tilt-shift shot that leaves me adrift. Your move in this direction is a step along an artistic journey. Thank you for sharing your work and your motivations Joel. You never disappoint. You provide some interesting thoughts in your new Column. As photographers we revel to the veiwer something about the subject and a little of ourselves in our photographs. Both images you presented are good examples of that. The first image revels the mysterious form and shape of the building while shrouded in darkness. The second image revels the unique structure in the environment in which it exist, thus giving emphasis to it’s unusual architecture. Both are effective photographs and each revels something different to the viewer. It’s pleasing to hear and see that for you change comes on its own terms and can be the result of openness and reflection as well as from experimentation with something new that casts the old in a new, insightful light. I try to approach my work in this way, not always successfully, as old routines tend to reinforce themselves, and success, real or apparent, resists change. I look for to reading your new Column and seeing your new work. I think this is a welcome change. I feel that you and your readers will benefit from this change in style and attitude.